Travel to Keflavik International airport from a choice of regional UK airports where, on arrival, you will take the airport shuttle bus into the capital, Reykjavik and your chosen hotel. The remaining time is at leisure for you to familiarise yourself with your surroundings and enjoy one of the many restaurants located just a short walk from the hotel. 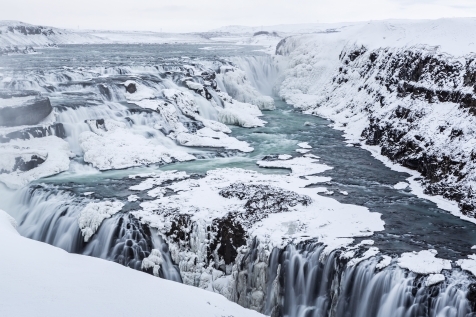 Enjoy a hearty breakfast, before joining a full day excursion around the Golden Circle, a trio of Iceland’s most iconic sights. First stop is Thingvellir National Park. It is here that the North Atlantic and Eurasian tectonic plates meet, with dramatic consequences and where the early Vikings set up the world’s first parliamentary assembly in 930. It is then on to Gullfoss waterfall with its unique 90° turn and the bubbling geyser area, with Strokkur can game-fully spouts a steaming stream of water up to 40m into the air. Dinner this evening is taken at the Reykjavik Restaurant, just a short walk from your hotel. This well renowned and atmospheric Icelandic restaurant offers an extensive seafood buffet, showcasing the best of local produce and Nordic cuisine. The 11.45 flight to Ilulissat allows you to experience a leisurely morning, before your transfer to Reykjavik Domestic airport and the 3-hour flight to Ilulissat. If you are lucky enough to enjoy clear skies and look below, you may get a glimpse of just how vast and remote Greenland is. 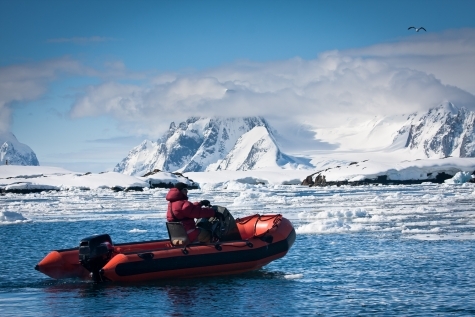 On arrival in Ilulissat, you will be met by your local guide and transferred to the Hotel Arctic. After checking in, enjoy an information meeting and a city walk of Ilulissat, which reveals a history stretching back centuries and the simply stunning UNESCO World Heritage site of the Ilulissat Icefjord. Later that evening enjoy a delicious welcome dinner with your fellow travellers at the Hotel Arctic. Do remember to keep an eye out for a display of the Northern Lights from the panoramic restaurant windows. There is a whole host of excursions to choose from, all designed to introduce you to the spectacular nature that surrounds Ilulissat. Ilulissat is Greenland’s third largest town with a population of around 4,500. This is almost matched by the number of dogs that also live here. With no roads, husky sledding remains the favoured form of transport and a thrilling experience – even if you have done dog sledding before, you have not experienced the Greenlandic way. Take a boat trip on the Icefjord, where gigantic icebergs will take your breath away. There is snowshoeing and visits to isolated settlements and of course Northern Light searches, in extraordinary landscapes. Due to availability, we recommend that you pre-book your excursions. Local weather conditions do however mean that last minute changes may occur. Your experienced local guide is very used to dealing with such situations and will ensure that every effort is made to reschedule any trips accordingly. A flexible attitude means that that you should get to experience everything on your itinerary or a suitable alternative, but perhaps just in a different order. We have another flexible day so that you can choose the activity that suits your agenda and interest. Once again, your local guide is on hand to assist should any advice or action be required. There is a farewell dinner at the Hotel Arctic, where you and your fellow travellers can further share your experiences. Consider enjoying a farewell drink in the bar as there is always a story amongst the hotels eclectic mix of guests and their reason for being on this remote island. The return flight to Reykjavik leaves around noon, so there is still ample opportunity to enjoy and absorb the atmosphere of this remarkable location, before transferring to the airport. 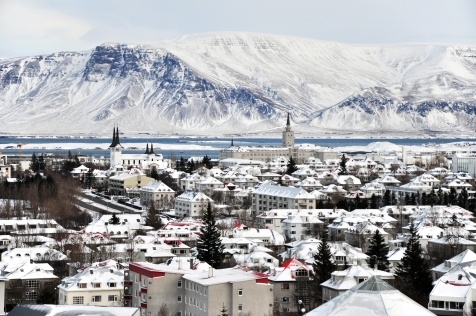 Arrival back in Reykjavik is around 19.00, so after checking in to your overnight accommodation, venture to the old town for a bite to eat and maybe a locally brewed beer. This modern hotel is in a great location just minutes’ walk from all the major attractions and close to the National Gallery. Representing excellent value, the 180 rooms are furnished with simple contemporary oak furnishings and all have private WC/shower. Relax in the Plaza Bar with floor to ceiling windows. Buffet breakfast is served on site and there are a myriad of restaurants, bars & cafés within walking distance for dining later. Return flights from a choice of regional UK airports. 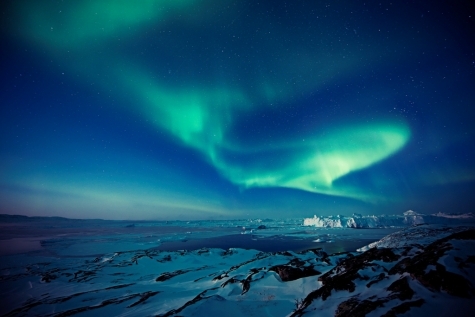 All airport to hotel transfers in Iceland and Greenland. 3 nights accommodation at the Centerhotel Plaza, Reykjavik (or similar) sharing a standard twin/double room with private WC/shower. 3 nights accommodation at the Hotel Arctic, Ilulissat sharing a standard twin/double room with private WC/shower.